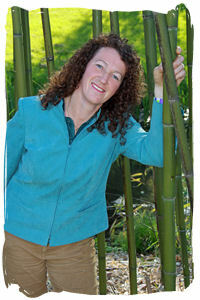 Shiatsu for People, Horses & Dogs with Jacqueline Molony: Shi-animal-atsu for Horses: Welcome! Jacqueline Molony (formerly Jacqueline Cook) is a Shiatsu Master and Teacher with over 15 years' experience of alleviating pain and problems quickly. After numerous years practising Ohashiatsu from which she qualified and graduated, Jacqueline went on to develop i-atsu(TM) for people as a natural progression from her original studies. Jacqueline introduced and launched Equine Shiatsu to the UK from the USA in 1996 and then went on to pioneer Shiatsu for Dogs in 1998 now known as shi-animal-atsu(TM) for horses and dogs. In 2003, she opened Roseheart Kingdom a ‘Therapy Centre for People & Animals’ in Shropshire, which is the only centre in the world where you can receive treatments and learn the ancient Japanese art of Shiatsu for People, Horses and Dogs.It became the permanent base for the existing complementary therapy practice that was established in 1996.
to offer courses in shiatsu for horses & dogs - and continues to go from strength to strength today." Roseheart Kingdom provides DIY,Part & Full Livery services, a Retirement Home for Ponies and Horses and a Rehabilitation Centre for Horses & Dogs. Jacqueline also offers Reiki, Distant Healing, Aromatherapy, People & Animal Communication and Kinesiology for People and Animals. to manage with less pain"
You can find out about these different therapies and services on this website. Activities with Horses & Dogs can be dangerous. Do not attempt any therapy techniques without proper education or supervision. Jacqueline Cook Molony and the establishment of Roseheart Kingdom is not liable for unqualified practitioners applying healing techniques or the improper use of any therapy techniques which may result in injuries sustained by a horse, dog or human in the practice of them.